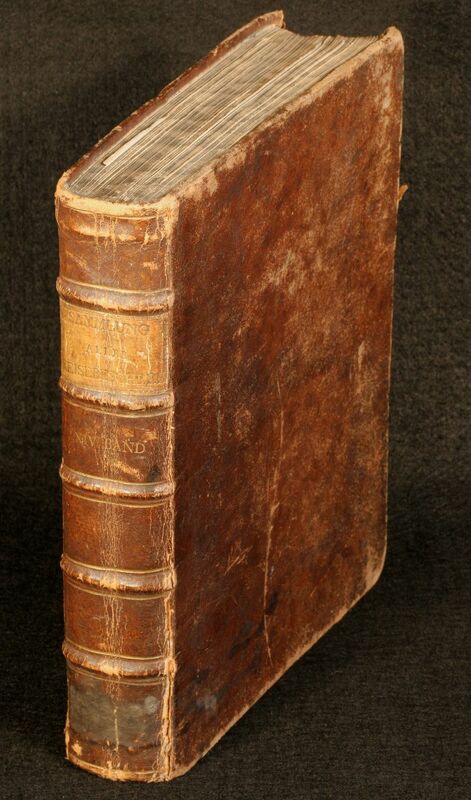 A collection of travelogues of Canada and Louisiana. Published by Arkstee and Merkus in Leipzig during 1756. Collection of travel exploration of Canada and Louisiana. With 18 copper engraved maps mainly folded. Containing maps of North America (35 x 28 cm), Nova Scotia (Accadia), Carolina, Richelieu River, Island of Montreal, East Newfoundland , Newfoundland, East Canada (55 x 40 cm), Hudson Bay, James Bay, Louisiana and Florida (55 x 40 cm), Port Royal, Prince Edward Island, Bay Chedabuctu, Louisbourg, Englishtown / Dauphin, New Orleans (French Quarter). 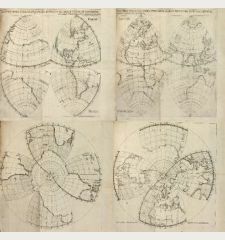 Maps by N. Bellin, 1744. First pages slightly waterstained in lower corner, overall excellent conditions.